Famous for its digital, nobody yet associates Esoteric with amplifiers. 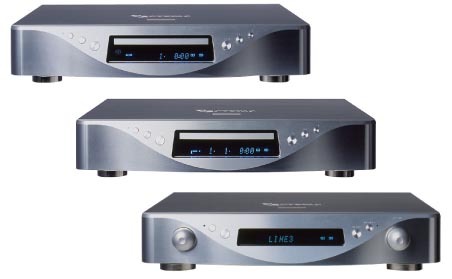 There's three in the present lineup however, the AZ-1 of the firm's new down-scaled Elegance Series, the 150wpc Class D AI-10 integrated introduced at CES 2007 and the massive A-70 200-watt monos in the upscale Component Series. To get into the big boys is limited to special orders. The smaller AZ-1 meanwhile throws the book at the integrated category and packages a DAC, reclocker, line stage, MM phono stage and analog switching amp all into one compact chassis. It's as though Esoteric hedged its bets, treading very cautiously on this expansion into amplification. Esoteric doesn't seem to trust that its considerable cachet with digital SOTA machines carried over yet. And who could blame 'em? When it comes to butch transistor amplifiers, popular perception believes that America rules the roost, followed by Europe and then nothing. For every Krell, Levinson and Pass; for every Burmester, Gryphon and Vitus; how many Japanese brands roll off your tongue? It's not that the Japanese don't know how to build first-rate beefy transistor amps. Accuphase does 'em, Denon has for a long time. There's no reason to believe Esoteric couldn't author a statement effort. But with the deck stacked as it is, who'd buy it? The saying reminds us that a prophet counts for little in his own country. 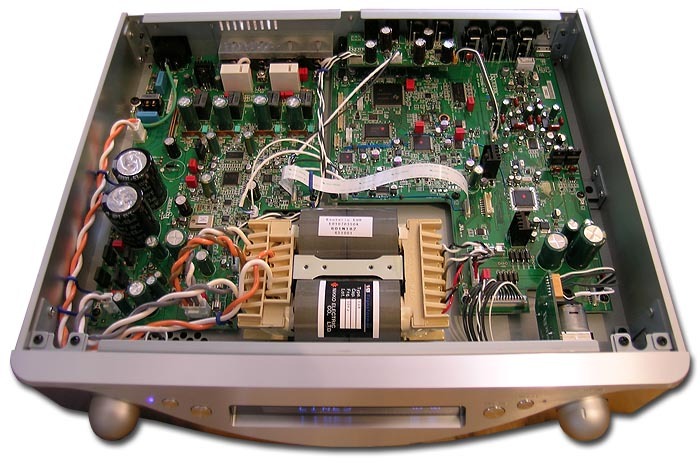 The market for HighEnd Japanese amplifiers in Japan could be small. As of today, it's certainly not too big anywhere else. If that sounds reasonable enough, does it not seem a bit contrarious to limit the AZ-1's output power to 50wpc into 8 ohms? The prevailing wisdom favors triple-digit ratings especially in the so-called Class D domain. The AZ-1 is a lightweight at 22 pounds to boot, and a veritable low rider at 3 inches short compared to the battle ships of Esoteric's top digital. It does feature an analog rather than switch-mode power supply, hence a real albeit compact and efficient power transformer. Connectivity consists of three RCA inputs, two coaxial and optical digital inputs each, two iLink sockets useful to daisy-chain multiple AZ-1s for surround sound and WBT-style output terminals. Another off rather than by-the-book detail -- other than the lowish output power -- is the inclusion of digitally actuated tone controls. Those are centered on 100 and 10,000Hz and offer up to 10dB of cut or boost. The BNC-carried master clock/word sync output at a claimed +/- 1ppm clock frequency accuracy is currently limited to interfacing primarily with Esoteric's own machines. Little else sports the requisite matching socketry. The machines most likely to be slaved to the AZ-1 in this fashion are the SZ-1 or UZ-1 companions of the Elegance Series. One is a SACD/CD machine, the other a universal player. The control amp's fascia setup button accesses a menu tree and allows for clock frequencies at 44.1, 88.2, 176.4, 48, 96 and 192kHz, tone control contouring and such. iLinking multiple units makes subsequent ones slaves who automatically receive remote commands like volume, mute and display dim as long as the iLink function on the master unit remains activated. S/N ratio quotes at better than 115dB, suggesting a very high-resolution machine. The concept and rationale for the AZ-1 is sensible enough. There are plenty of upscale city dwellers with small but classy apartments who want elegant components but insist on a low box count and top functionality. They are the target audience for today's component and its companions. why pay for the AZ-1 converter? The SZ-1 has balanced outputs but the AZ-1 lacks XLR inputs. Esoteric's upscale digital machines employ true differential circuits and sound superior through their XLRs which avoid the phase summing IC and coupling capacitor of the converted RCA outputs. Some redundancy or lacking features on the AZ-1 apparently can't be avoided. What interested me most was the AZ-1's switching nature. All the Japanese majors have embraced Class D to the tune of authoring their own versions, be it Sony, Sharp, Yamaha or Denon. Was Esoteric's a proprietary wrinkle, with the required in-house R&D at present bequeathed only on two machines? That would seem hard to justify. If not proprietary, whose turnkey digital solution had the Esoteric engineers opted for? According to Esoteric's PR man in the US, Mark Gurvey, the transformer and power stage design of the AZ-1 are 100% Esoteric and not an OEM solution by ICEpower, Texas Instruments, Tripath, uCD or any of the other Class D turnkey providers. 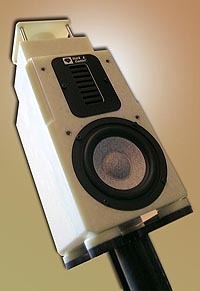 The particular WB transformer in the AZ-1 -- referring to a particular winding method claimed to net higher magnetic efficiencies -- has previously been applied to the A-70, AZ-1, P-01/D-01 and older P-0 models and is an Esoteric design sourced to proprietary specs from a specialty transformer vendor. 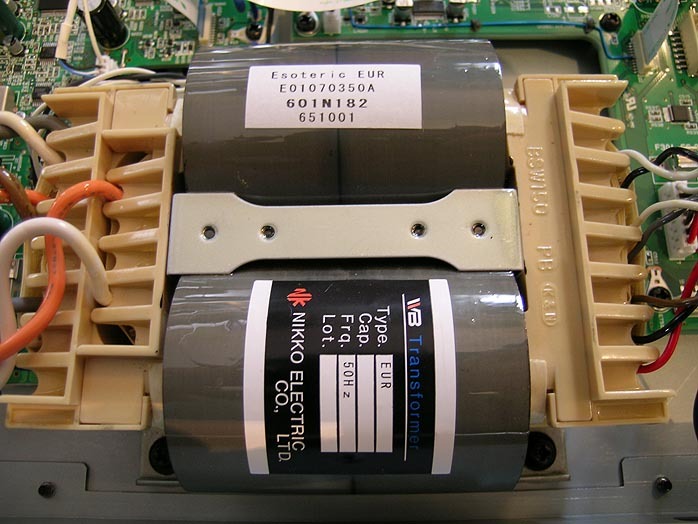 A WB power transformer in Esoteric talk (Wound core type transformer with coil Bobbin) "offers highly efficient and outstanding performance for its physical dimensions." The WB power transformer incorporates a reverse assembly of how the steel core is wound to and surrounds the coil. The simplified model above shows the magnetic paths of WB and conventional transformers. "The WB design ensures the shortest magnetic path from the coil because the coil surface and the core surface are at a constant distance at the same radius and the magnetic path generated from the coil fully magnetizes the steel core without any loss. This creates a more constant power output supply. 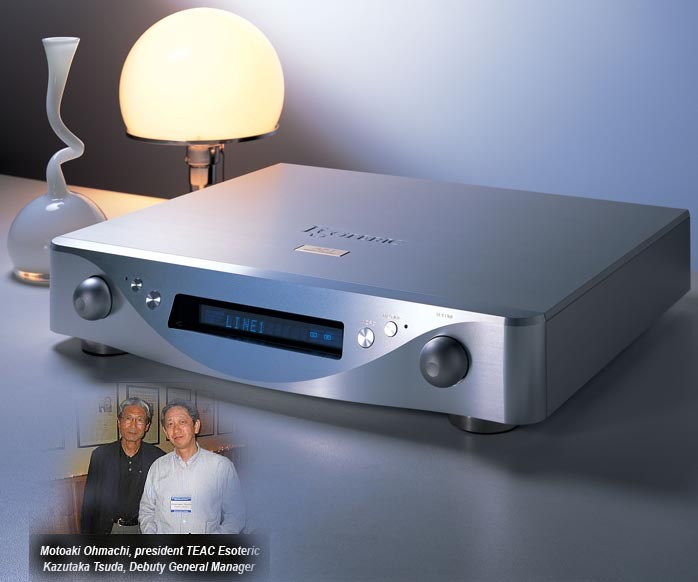 From an audiophile perspective, the end result is similar to the high-end sonic characteristics achieved by tube-equipped integrated power amplifiers." listening space to a suitable rather than overpowering bass system. The Magico Mini would be the cost-no-object apex of that concept (its designer, when I met him more than a year ago, enjoyed very big Pass Labs amps). Here's the thing. High-performance 2-way minis tend to soak up power. They often sport sub 4-ohm impedances to boot. That's where the AZ-1 design brief curiously misses. Not that I'm personally bothered. I call 2 watts of single-ended direct-heated 45 triode magic heaven on my 101dB speakers. But I also own a Hong Kong-style mini monitor in the petite but mighty Mark & Daniel Ruby [right]. 82.5dB inefficient, she's a demanding amplifier mistress. Her designers call for a minimum of 80 watts of high-current output to control her properly. Experience of course tells us of the difference between paper specs and actual drive. 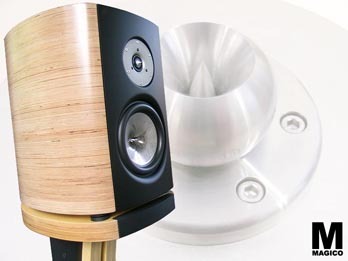 A little Rubification challenge would be in order to see whether the AZ-1 had more muscle than anticipated or would be borderline -- or plain insufficient -- for a highly inefficient small bookshelf speaker. 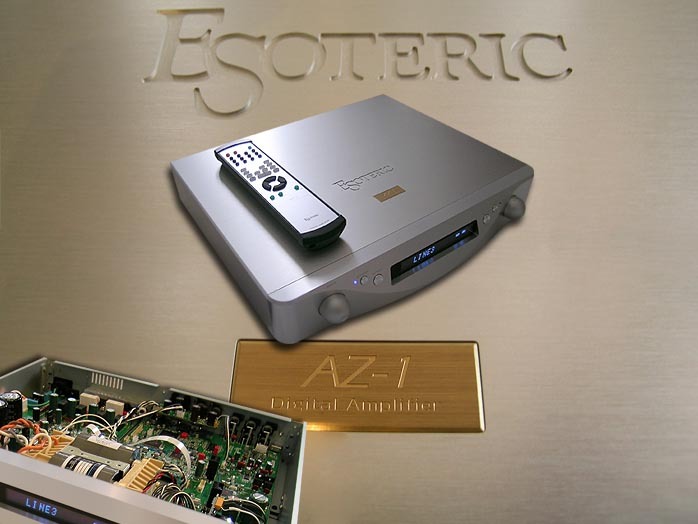 Conceptually, Esoteric's AZ-1 is about integration and miniaturization, hence ultra modern. Make a thing perform as many functions as possible and keep it compact. On those counts, it's a winner well prior to delivery. How would it all add up in the listening seat? I had to confess to being somewhat skeptical about the claim that the special power transformer would impart tube-like sonics.